Every week when we go to the grocery store I inevitable buy 1 pound of brussel sprouts. I love them. They’re perfect little mini-heads of lettuce that appeal to my love of mini-things (I have a small boxes obsession, but that’s another story). 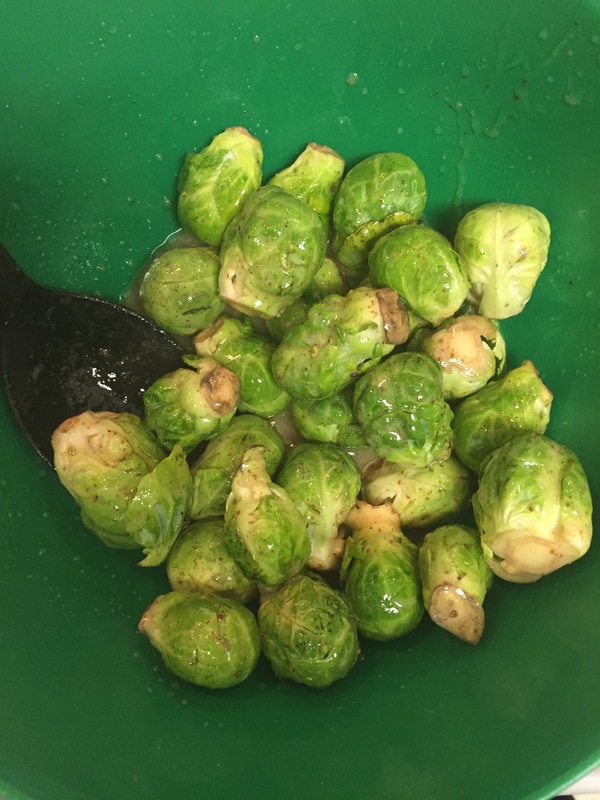 According to the National Library of Medicine Brussel sprouts are high in antioxidants, and a half cup serving provides you with half the average person’s required daily dose of Vitamin C. They are also rich in Vitamin K and are full of nutrients with a low amount of calories. This dinner idea was inspired by a recipe Keith’s mom Lisa shared with me a few weeks ago. I had some Brussel sprouts in the fridge and decided to give the recipe a try. I’d eat Brussel sprouts on their own for dinner, but I know my guy likes variety in a meal. This led me to create a new quinoa recipe incorporating the rest of the dressing left over from the Brussel sprouts. This meal is easy to throw together and very nutrient dense. 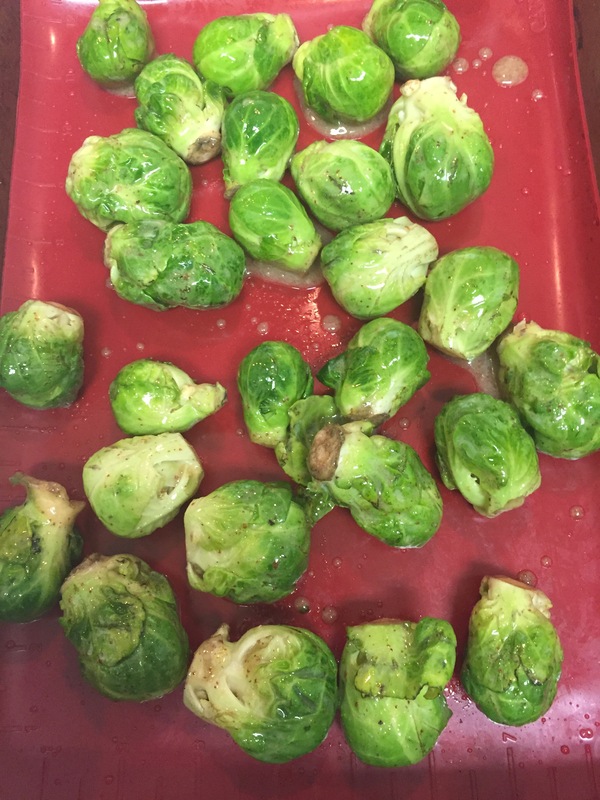 I modified Gluten Free And More’s Roasted Brussel Sprouts with Honey Mustard recipe. 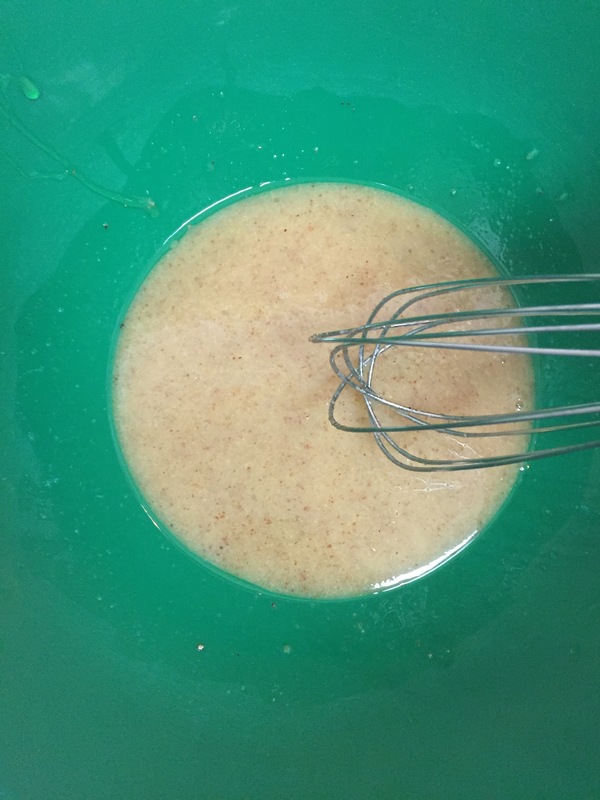 Add oil, rice vinegar, honey, Dijon mustard, salt, and pepper to a bowl, and whisk to combine into dressing. Clean Brussel sprouts, and pat dry with a paper towel. Toss Brussel sprouts in dressing. Place on a sheet pan, set the left over dressing aside, and put Brussel sprouts in oven to bake for 35 minutes. Flip them over after 15 minutes, and keep an eye on them while you peep the quinoa. Place a pot on medium heat, add butter. Finely chop garlic, add to melted butter and stir. 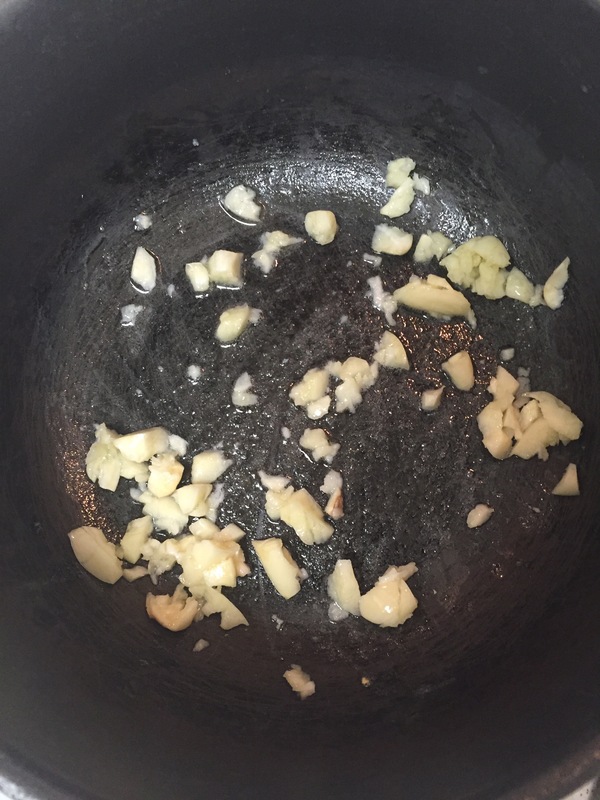 Cook garlic for about 5 minutes or until it become aromatic and golden. 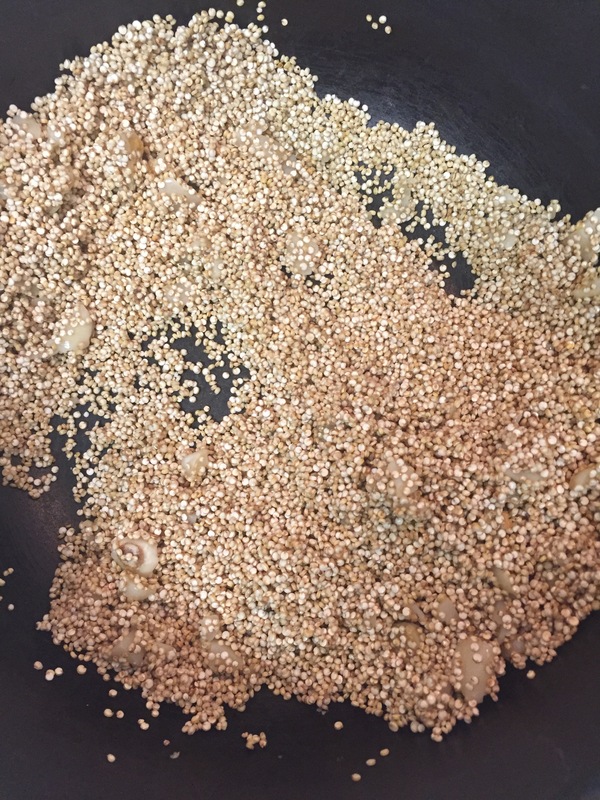 Add quinoa to pot to toast, stirring constantly for 2-4 minutes. Increase heat to high, and bring quinoa to a boil. 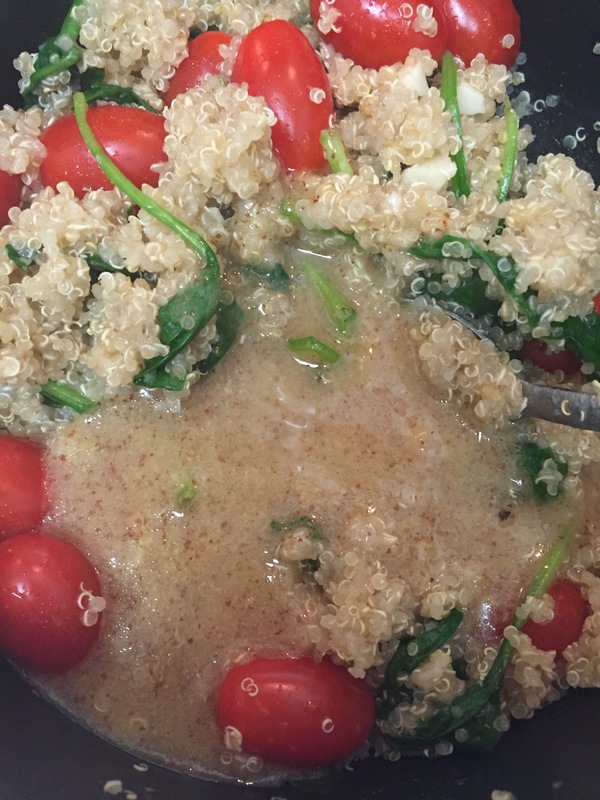 Once at a boil immediately reduce heat to low and simmer quinoa until all liquid is absorbed, about 10-15 minutes. When quinoa is finished cooking, take off heat, stir in spinach and tomatoes, and cover. Right before serving, pour left over dressing into quinoa pot and stir. I know it looks like a lot of step, but if you time the prep work right and make the quinoa while the Brussel sprouts are cooking, then this meal only takes 35 minutes to make.